Aktion sauberer Bus | we ran out of answers. 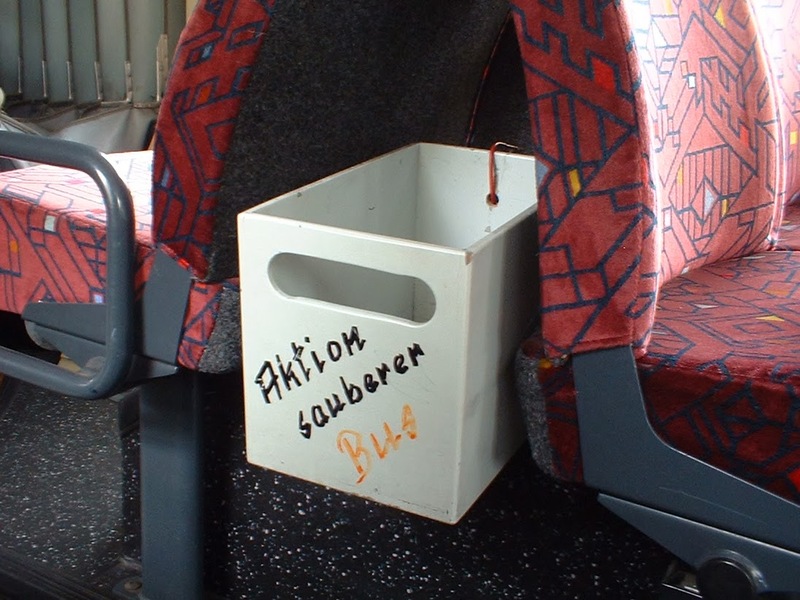 Exhibit A: a simple trash bin, that was installed on a bus by the driver. The writig says something across the lines of "clean bus campaign". When I saw this it made me think about what made the driver do it. I imagined his frustration with ill-manered kids and lazy folks just dropping their trash on the ground. I was strangely touched by the faith the driver seemed to put into his humble efforts, which most likely have been ignored by most of the trash scattering passengers.